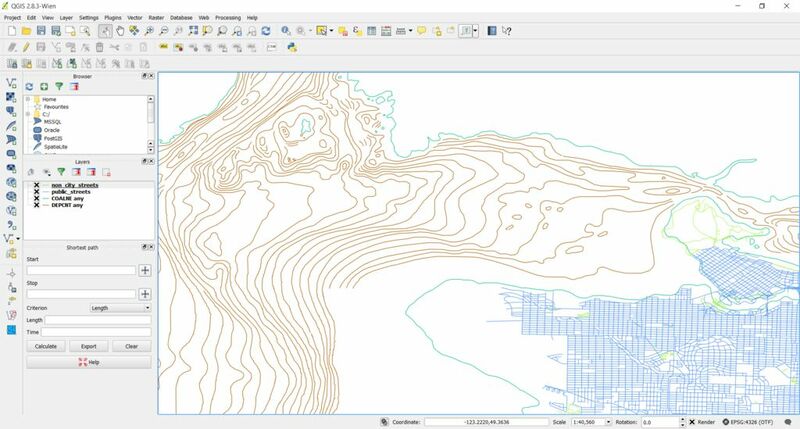 Enter QGIS, a free and open source geographical information system that allows you to edit and combine map data, and the best part — export to .dxf. After he was happy with his new map file, it was time to get cutting. This will be pretty tedious depending on how much detail you decided to use, but the end result is oh so worth it. Once it was all done, he also stained the ocean layers blue to give it more depth — if you wanted to get really creative, you could also do a dyed blue epoxy fill which would allow you to still see the detail — but look like water! For more information on how to make laser cut maps of your city, check out this other project we covered last year — funny enough — also based in Vancouver. I asked on the Instructable, but I’ll ask here too. Does anyone know how to get similar bathymetric data for the UK? Last time I looked I could find anything. NOAA (USA) is supposed to compile this sort of data, too). Someone on Instructables has now pointed me to http://www.bodc.ac.uk which looks promising. At a lower resolution (30-arc-second-per-pixel), GEBCO has global bathymetric data — https://www.bodc.ac.uk/data/online_delivery/gebco/ — and you can download it for free. On the map on that page, shift + left drag over the extent of the UK seas you want data for… it’s all pretty boring and flat unless you include the shelf on the bottom right :) Then I would suggest selecting “User-defined area or global grid” in 2D netCDF format — especially if you’re gonna be looking at this in qgis. Fiddly “data portal for scientists” website but after 30 minutes of messing around with broken forms you’ll get the data. Put some legs on this ASAP and have a super rad coffee table!